Gareth Farr: composer, percussionist... and drag queen! – an indisputably colourful figure in New Zealand music. And whether scored for percussion duet or the resources of two large orchestras, Farr's music reflects his personality – bold, brash, or delicate and sensuous, but inevitably, immediately, engaging. Rhythmic elements of his compositions can be linked to the complex and exciting rhythms of Rarotongan log drum ensembles, Balinese gamelan and other percussion music of the Pacific Rim. 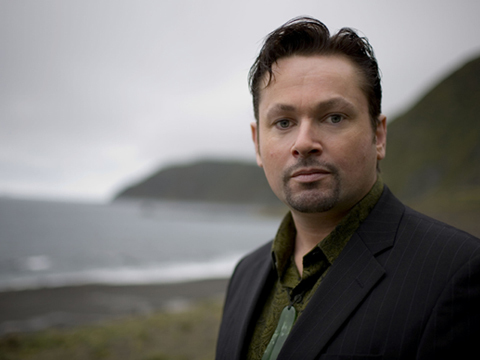 In addition to his music for the concert chamber, Farr has written music for dance, theatre and television. Relect Furies for Mezzo-Soprano and Double String Orchestra Farr's major new work premiered at the Edinburgh International Festival with Mezzo-Soprano soloist Sarah Connolly, the Scottish Ensemble and Commonwealth Strings on 26 August 2014.